At ATC Construction we understand the skills and levels of workmanship required to plan and complete works associated with one of the most important spaces in your property. 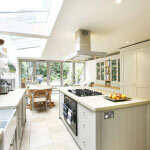 Achieving the styling kitchen installations is a complex process to undertake. 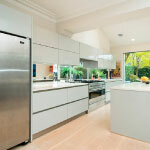 It is crucial kitchens have a coordinated sense of style. 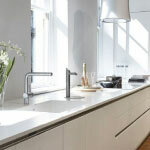 Mixing traditional wooden work surfaces with modern taps and lighting does not always provide the desired effect. It is a good idea to decide beforehand on the general aesthetic desired and only then focus on the smaller details. One of the biggest benefits of employing a professional fitting service is getting the expertise of an organisation who understands the design process and can advise on how to achieve stylistic outcomes like ‘creating a family space’ or ‘a functional modern look’. Kitchens have become the centerpiece for most homes. The floor plans have become more open and creative. Homeowners want their kitchen to be representative of their lifestyle and as a result, designs are getting more and more complex, but still retaining all of a kitchens core functional use. 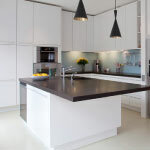 Like any major work undertaken at your property kitchen fitting requires careful planning and consultation with all concerned parties.